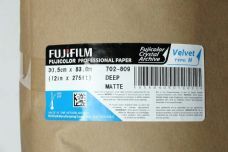 Professional Velvet is a unique silver halide paper for process RA4 with a deep-matte surface to avoid reflections. The paper is ideal for for traditional prints, postcards and albums. The paper is available in deep matte only.